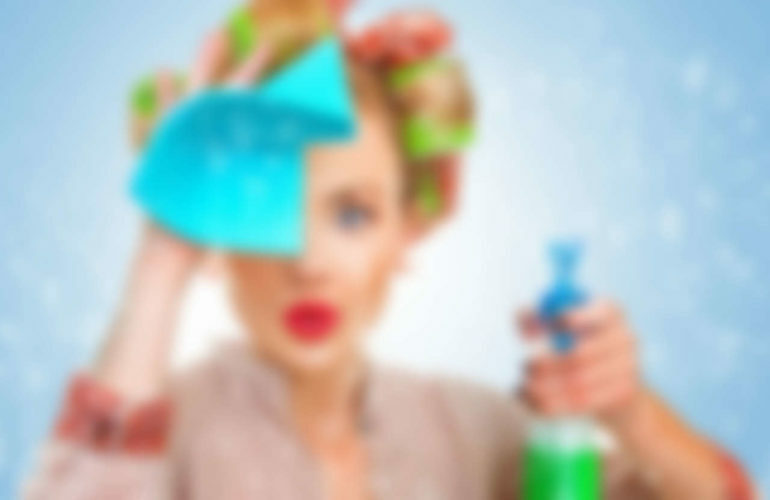 Forgo the glass cleaner with paper towel! 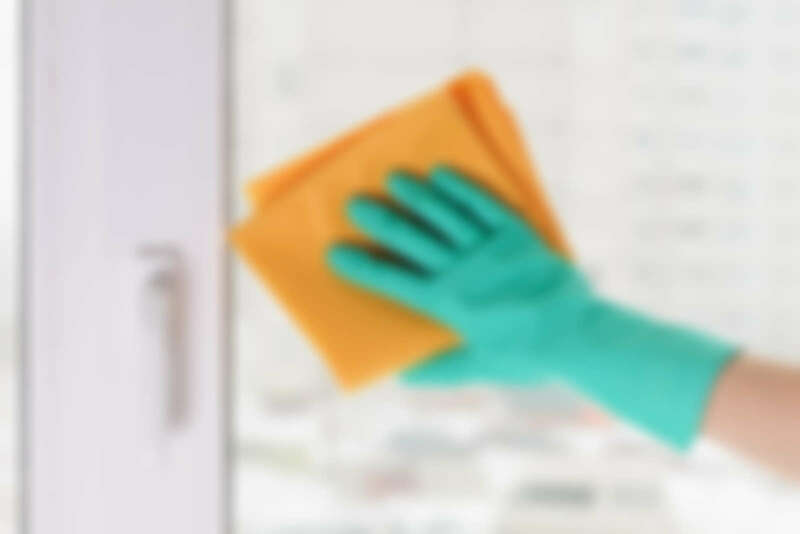 To get rid of any residue or a built-up film on really dirty windows always start by giving them a good scrub with a sponge and a simple mixture of water and dish soap. Try adding a dash of basic dishwashing detergent to your solution. While vinegar and water is a popular alternative to harsher chemicals, many people find that it can leave windows with streak marks. Use 2 cups of water, 1/4 cup of vinegar and 1/2 tsp of dishwashing detergent. For squeaky clean results, the less suds the better. The best way to wash windows is to start at the top and work your way downwards in an ‘S’ pattern. 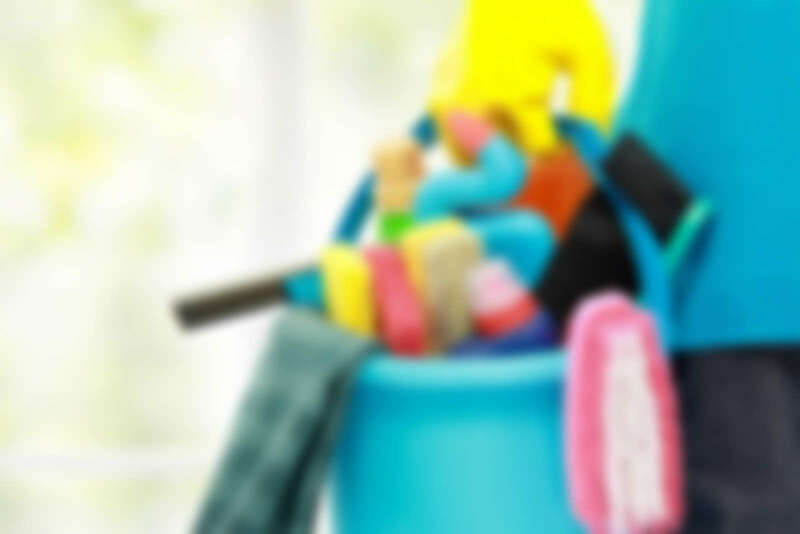 Wipe off any excessive water with a squeegee or a microfibre sponge, for example. 4. Wash your windows on an overcast day. Direct sunlight can often make the windows dry just a bit too quick, resulting in streaks on the glass. 5. Wash your windows twice a year. This will ensure your home is looking its best at any given time! Wipe very dirty windows with a damp cloth. Don’t rub dirt because it will leave those scratchy marks on its glass. A vacuum cleaner with an attachment will work for this job, too. With a clean sponge or cloth lightly wet the window. Don’t flood it! When using a squeegee, tilt at an angle to the glass, so only about one-inch of the rubber blade presses lightly against the top of the window glass. This will leave a dry area across the top of the window and stop drips from running down on your clean window. Wipe the blade of the squeegee with a damp cloth each time. A dry blade on dry glass will skip. Next place the squeegee horizontally in the dry area and pull down, lapping over the dry clean area each time. Continue until you have finished the window. Finish by wiping off the window sill. Windows can be cleaning from either side or from the top using this technique. A cloth or paper to clean are also good options, use overlapping strokes so you cover all the window and don’t miss spots. Don’t clean windows in direct sunlight – the window may dry too fast and streak. Exterior windows should be first be washed with a hose or clean water to remove grease and grime. Wash windows side to side on the inside and up to down on the outside. If there are streaks, you will know which side they are on. Change wash and rinse waters often. Outside screens can be scrubbed with warm water and rinsed with clean water. Allow to air dry. Squeegees do not work on textured or stained glass windows. Choose a “hard” paper towel (soft ones leave lint) or cotton cloths such as old t-shirt or socks. The new micro-fiber cloths work well for cleaning windows. Follow the instructions for use of the cloths. When washing micro-fiber cloths or towels do not use fabric softener as it reduces the absorbency. Thanks a million! These tips proved to be uber useful, as I’m having a huge fall celaning underway now! That’s a useful piece of information. Hopefully my windows will look a bit better now!